This book is not actually a Sherlock Holmes book, nor feature any stories with the world famous consulting detective. 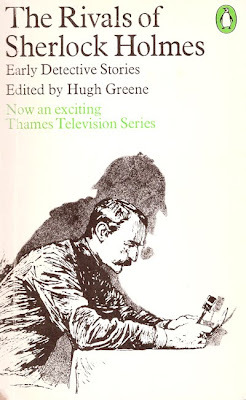 The stories contained within were turned into a TV series in the 1970’s. You can read Tanner’s review of series one here. Sherlock Holmes will return on Monday. I’ll be away from the computer for a few days, but ‘Book Cover of the Week’ (more Quiller), and ‘Beyond Bond’ (a classic from 1982), are all queued up and ready to go.